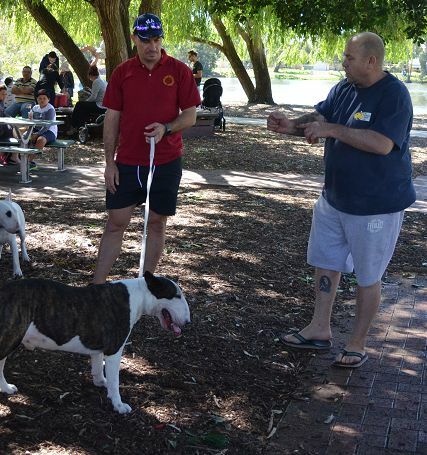 We held our Easter Bully Walk @ Tomato Lake in Kewdale! 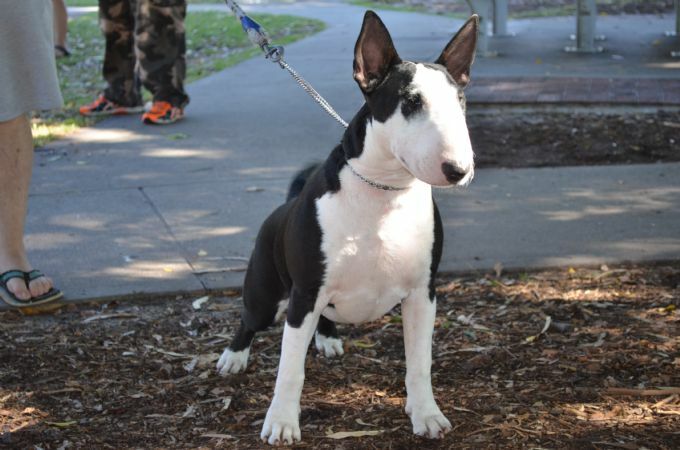 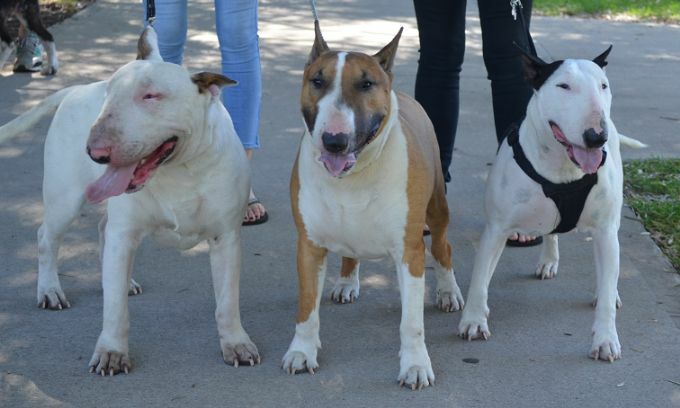 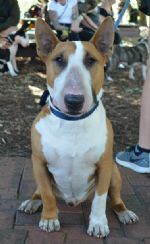 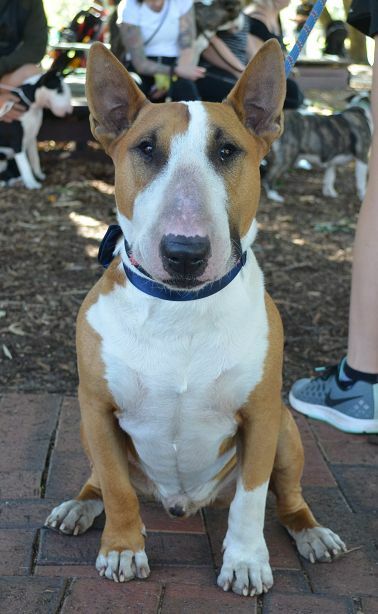 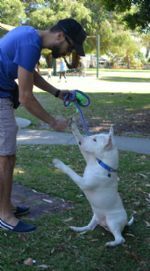 What a beautiful day it turned out to be, we had over 30 Bull Terriers and their owners attend! 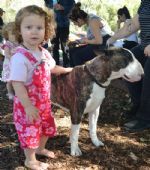 Thank you all for making the effort to come down and join us. The venue was fantastic, with heaps of people enjoying the beautiful weather, so it was a great opportunity to show the public how great our Bullies can be. 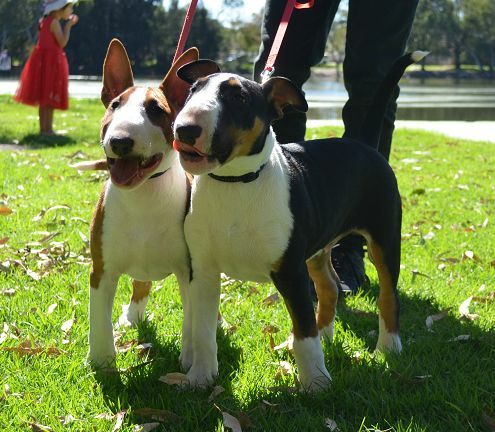 We went for a leisurely stroll around the lake, followed by a bit of info on ear cleaning by Wil. 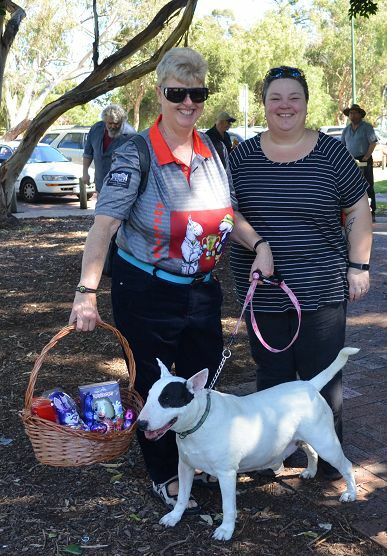 We held a sausage sizzle and a raffle for a yummy Easter Egg hamper which was won by Sue Leitch & Beauty! Congratulations Sue! 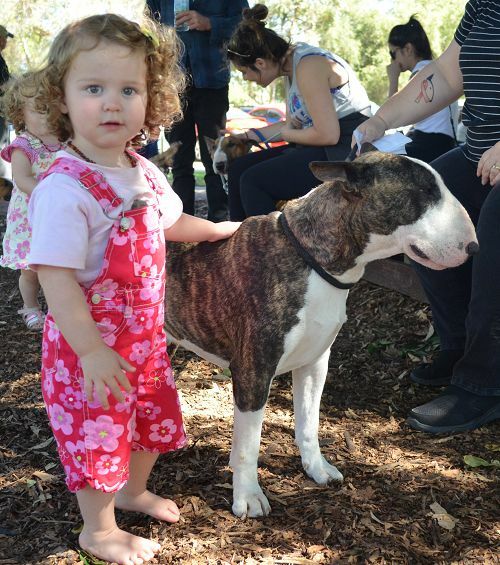 The day was thoroughly enjoyed by all and it was great to see so many new faces!